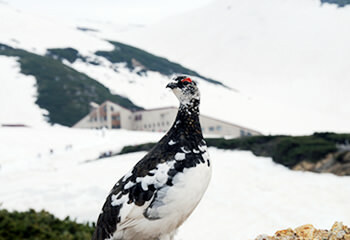 These ptarmigan live only in the mountains. They were revered as messengers from god and treated very well. Because of this they are not shy around people. They have survived since the ice age. The birds are designated as a Special National Treasure. About 240 birds live in the Murodo area. If you are lucky, you might see one. From May to June it is especially easy to spot brown Raicho silhouetted on the remaining snow. 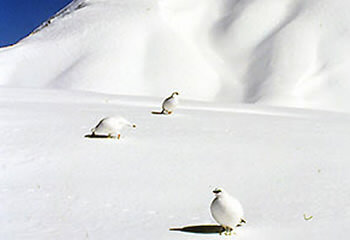 In addition to the ptarmigan there are many other birds to be seen on the Alpine Route. 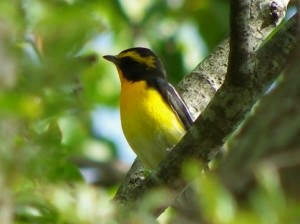 In particular, the Bijodaira beech forest is a treasure trove of wild birds and is popular with bird watchers. There are some rare species of animal which are designated as protected species. 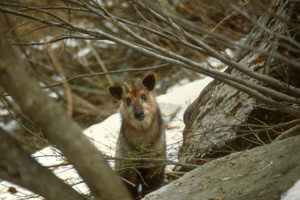 Many other animals can also be found in the unique habitats of Tateyama such as the forests and meadows. 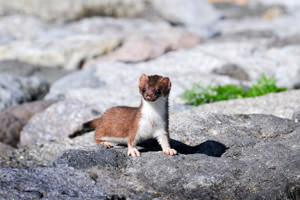 These mammals are members of the weasel family and live in the Tengudaira and Murodo area. Despite their cute appearance these animals are carnivores and hunt mice and rabbits. These animals are designated as a protected species. Both males and females have black antlers. They live in family groups of usually no more than 4 members. Japanese antelopes eat mainly grass and leaves. Insects such as butterflies and dragonflies thrive on the clean water, grasses and trees found in the Midagahara area. In summer you can see them fluttering through the air. These butterflies have spotted wings that look like leopard skin. They are found mainly in the Midagahara area. This small dragonfly has a black body with reddish brown and yellow spots. As its name suggests, this dragonfly has a distinctive white face.